When I plan to met someone at a public place, if they’ve never seen me before, I often tell them I bear a close resemblance to Santa Claus — mainly because of my mostly white hair and white beard … as my picture will attest. And during the Christmas season, I enjoy filling in for the jolly old elf, in spite of myself. But there is an interesting analogy between putting on my Santa Suit and labeling myself a Christian. When I put on my Santa suit, I have to always be prepared to represent Santa to children. 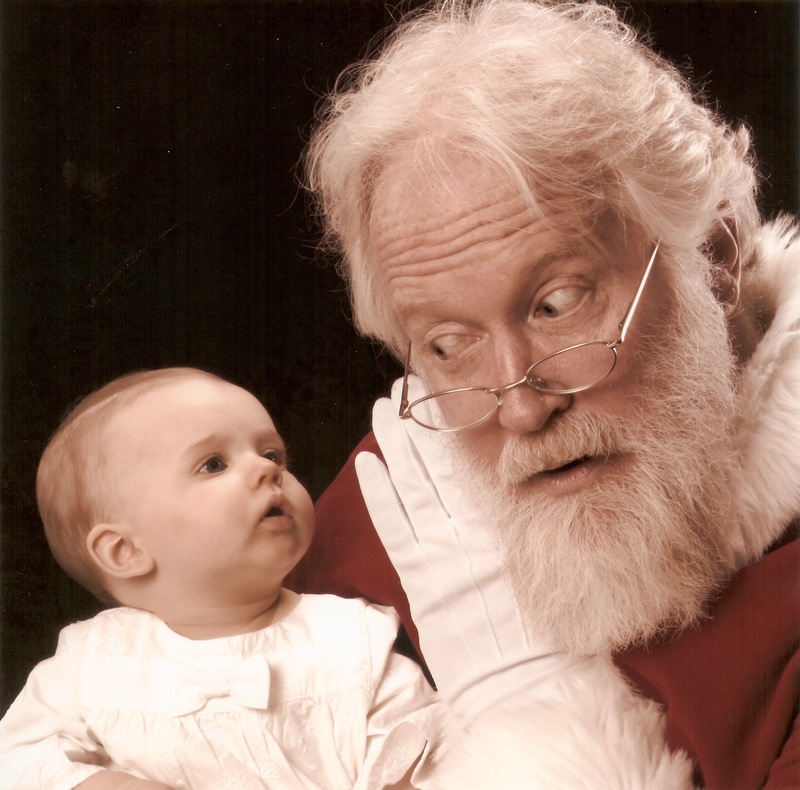 I can’t be Santa and be a grouch — or a jerk — or be impolite — or short-tempered. I have to be willing to be Santa and everything that goes along with that “stereotype.” If I’m not willing to do that I shouldn’t put on the suit. When anyone sees me, they should say, There’s Santa! And that’s the way it should be as a Christian, as well. If I “put on Christ”, then when anyone sees me, they should say, That’s guy is a Christian. There are a lot of implications that go along with that. And I’m not saying it’s easy or simple. I’m just saying there is a parallel. Obviously, it’s easier to put on a suit to then look and act like Santa Claus. One reason it’s easier is because I can take the Santa suit off and people don’t automatically think of me as Santa. But then the remaining question for both you and me is this: Do people think I do as good a job of representing Jesus, as they think I do representing Santa? Shouldn’t they? I was doing my periodic perusing around the internet today, when I recalled a web site I’d visited a long time ago: www.actsofkindness.org. I hope you’ll check it out — and even if you don’t visit it, I hope you think about the idea of random acts of kindness. It’s unremarkable for anyone to return a compliment or kind jesture, but it’s another thing when that kind act just comes out of the blue and the “actor” doesn’t ask for anything in return. Agape — the kind of love that Jesus showed towards us — is when we go out of our way to do the unexpected and unexpectedly require nothing in return for it.